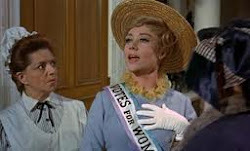 Mrs. Banks goes to Convention: Why Orlando? Lots of Australians ask me why I repeatedly go to Orlando for my holidays. 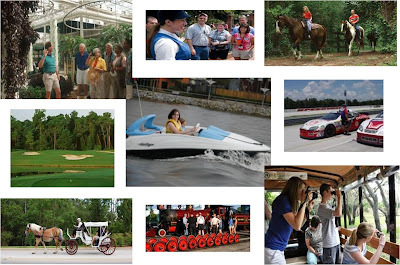 So here are a couple of the reasons why Orlando is great for women, even solo, on holiday. 1. Customer Service is fantastic!! And it is everywhere!! Disney set the benchmark and it is quite astonishing how far they have taken the concept. The Disney Institute train staff (and other companies) in excellence in quality service and focus on areas such as "anticipating guest needs", "people first" language and "respect all guests - core and secondary". 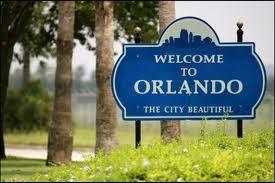 Due to the level of competition for the tourist dollar, this high quality service spills across Orlando where ever you go. On arrival at a Disney resort, the valets, bellhops and reception people will say "welcome home" - not "welcome to our hotel (insert commercial name here)". From that first contact the intention is to generate a positive reaction and make you feel part of living there. 2. It is easy to be safe. From the moment you arrive at the airport, on the whole tourist areas are very safe. The large resorts are also very safe - full of people just like you, full of staff, including security officers. Sure the security check at the parks is perfuntionary for most visitors, but they do make sure no weapons enter the parks. There are regular stories on chat boards about rowdy guests being expelled. Most of the large resorts operate cash less purchasing systems - at WDW on check-in you are presented with your Key to the World card, which acts as your room key, credit card (within WDW), dining plan tracker and park tickets. The card also has a biometric "finger scan" loaded on it. 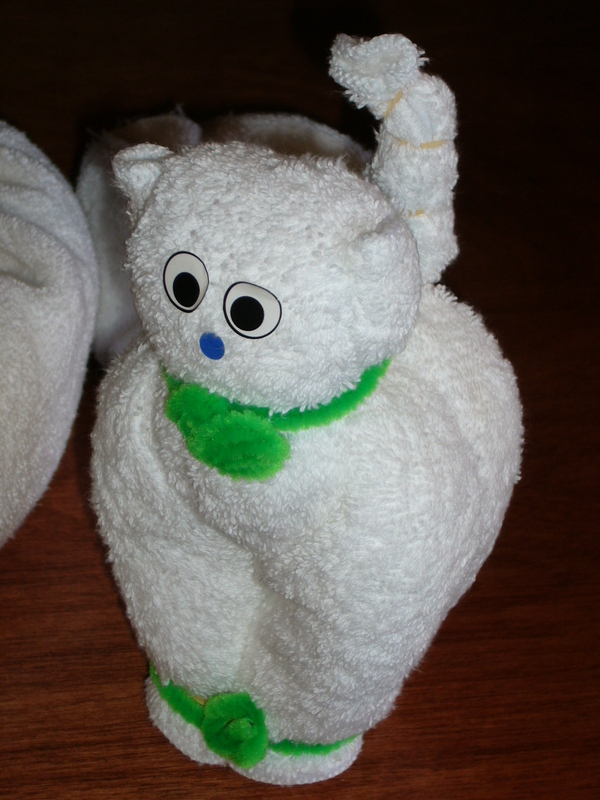 Disney are working on taking these to the next generation with RFID wristbands so by the time we are there in 2014 it will be an even more safe. So I am not lugging about my handbag, or even my wallet - most of those items go into the hotel room safe. 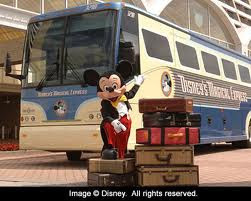 If you catch the Disney bus to and from Orlando Airport, you won't get lost, driving in forbidding neighbourhoods and Disney will be expecting you, before you even land. 3. Orlando operates from very strong family values. If you go to Las Vegas, you can pretty much be assured of drunks, touts, gambling and "adult services". I fail to see the appeal, but millions go every year so I obviously missing something. 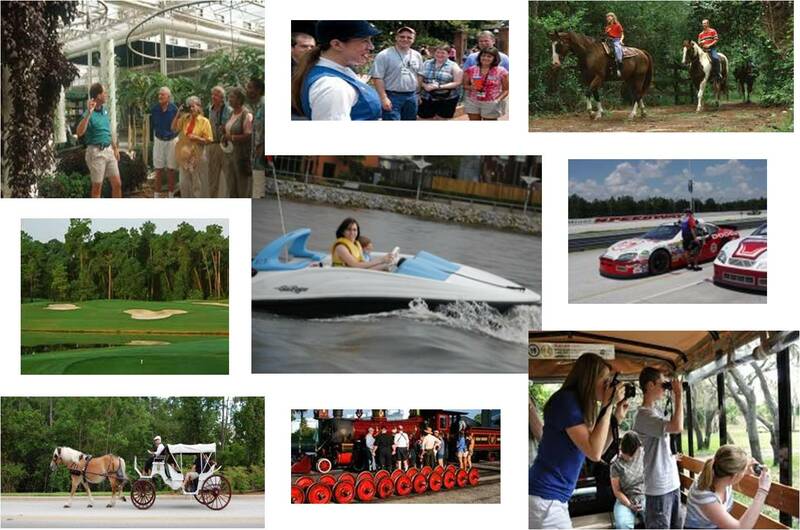 Orlando, dominated by Disney and partly due to its southern heritage, operates from strong family values. Now you can debate what are these values, and whether they are worthy or not - but their prevalence means a solo female traveller finds an astonishing variety of entertainment without a hint of the "sin city" stuff you can't avoid in Vegas. All adds to the atmosphere of making it easy to feel safe and comfortable. I really need to do a post on shopping in Orlando. 50 million + tourists annually provide ample shopping traffic and there is mighty competition among the retailers. The range goes from the lowliest to most extravagent you can imagine. 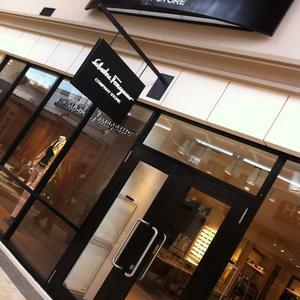 From boutiques to strip malls to HUGE shopping centres. There are all of those top end famous European brands. You name it, it is there. With the discount outlet shops for those same brands! And everything is half or less the cost of Australia. AND the range and volume available is outrageous compared to Australia. The secret of my shoe supply is out! AND because Orlando is a smallish city (unlike London or Paris) you can get to all these delights in a matter of moments. Wedged between Shopping above and Dining below, chocolate deserves a special mention of its own. In Orlando there is mountains of chocolate - every brand, every quality, every way you can think of it. You will not go lacking. 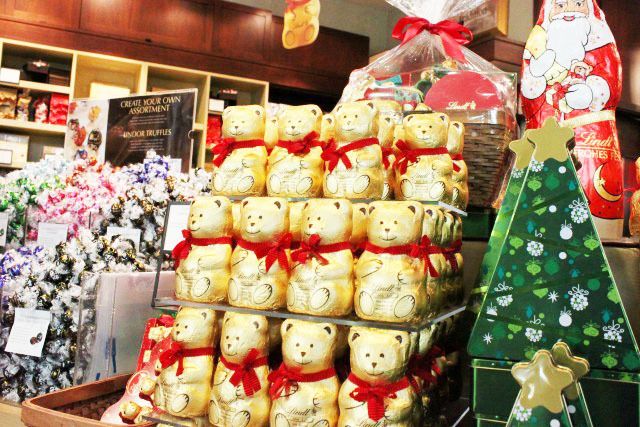 The Lindt Store is a classic example of Orlando shopping. Largest range outside of the factory, with cheapest prices and further discounts for bulk purchases. If you have followed my blog for any length of time you would have worked out by now that food is a MAJOR component of my trip. Orlando is blessed with some amazing restaurants and regularly has famous chefs set up shop (Cat Cora's Kouzzina; Emeril Lagasse and his chain; Wolfgang Puck; Todd English) or someone not so famous wins a national award like The Ravenous Pig and Victoria and Albert's. There is no reason to go hungry - from the lowliest snack to the most amazing meal. If dining alone, frequently, you can sit at a bar or overlooking the kitchen, and the kitchen and wait staff will chat with you (remember the tipping?!) - so there is colour, movement, sound, smells and delights. 6. 24 / 7 Entertainment! Orlando is never boring! 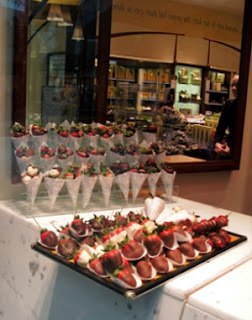 There is something for everyone - that's what this blog is all about. Keep following. There is still HEAPS more Orlando adventures to come! Do you know where your laptop is right now?